Anat Caspi is Director of The Taskar Center for Accessible Technology (TCAT). This initiative housed by the Paul G. Allen School of Computer Science at University of Washington is focused on translating novel research and technologies for use by populations with disabilities. TCAT also plays a role in continuing the department's well-established engagement with access technologies and in applying universal design practices across a vast array of projects. 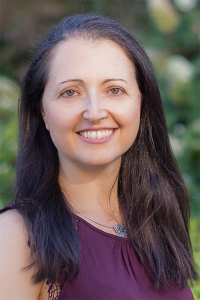 Caspi received her PhD in BioEngineering from the Joint Program in BioEngineering at University of California at Berkeley and UC San Francisco and her MS and BS in Computer Science from Stanford University. Her research interests are in the areas of computational biology, ubiquitous computing and bioinformatics. Before returning to academia, Caspi spent a decade in the medical and laboratory devices industry. She brings expertise in translational research and commercialization; with a track record of successful product releases, iterative prototyping and bringing instrumentation to clinical markets. Caspi evaluates and develops new methods/techniques/instrumentation; collaborates in experimental design and execution and coordinates accessible technology projects/functions in the Department of Computer Science and Engineering and with other divisions in the School of Engineering. In particular, Caspi is interested in exploring different ways in which collaborative commons and cooperation can challenge and transform the current economics of assistive technology and incentivize rapid development and deployment of access technologies and universally designed technology.